Over the past year we’ve been bringing rounds on significant activities from in-depth to simple yet remarkable chronicles that makes MHAM today. As the year comes to a new beginning, it is but befitting to look back and relive the seasoned events in the latter part of 2018 where every MHAM moment allows every Matias to reminisce them, instantly. 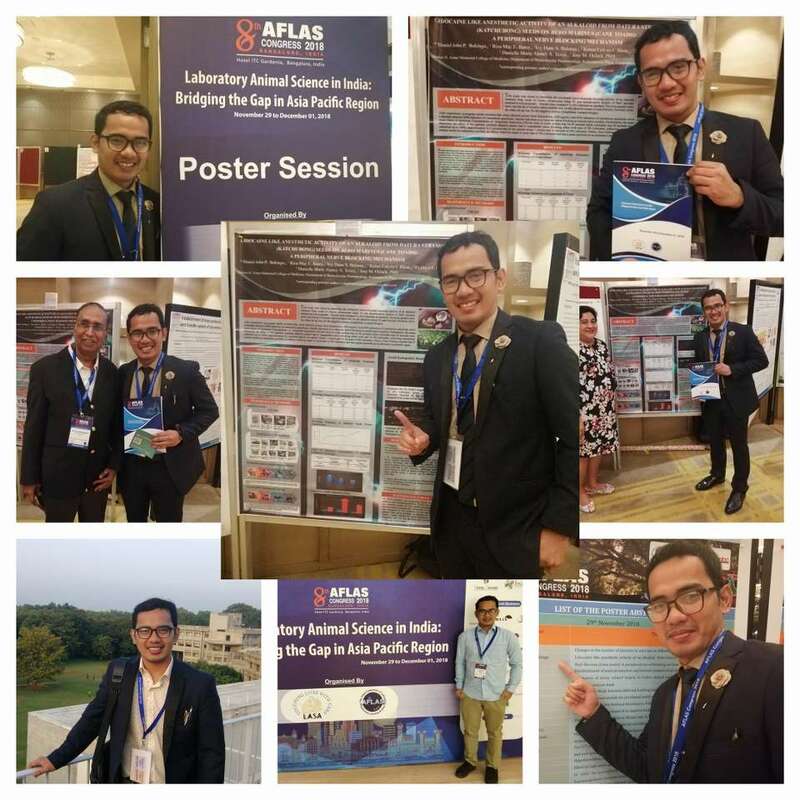 Motivated by his lifetime byword that God always honors the pure labor, MHAM medical clerk and lead researcher Daniel John Bokingo of batch Nexus made noise when he was delegated across the country to compete for the International Scientific Congress Poster Research Competition which was held at Hotel ITC Gardenia, Bangalore, India last November 29 to December 1, 2018. 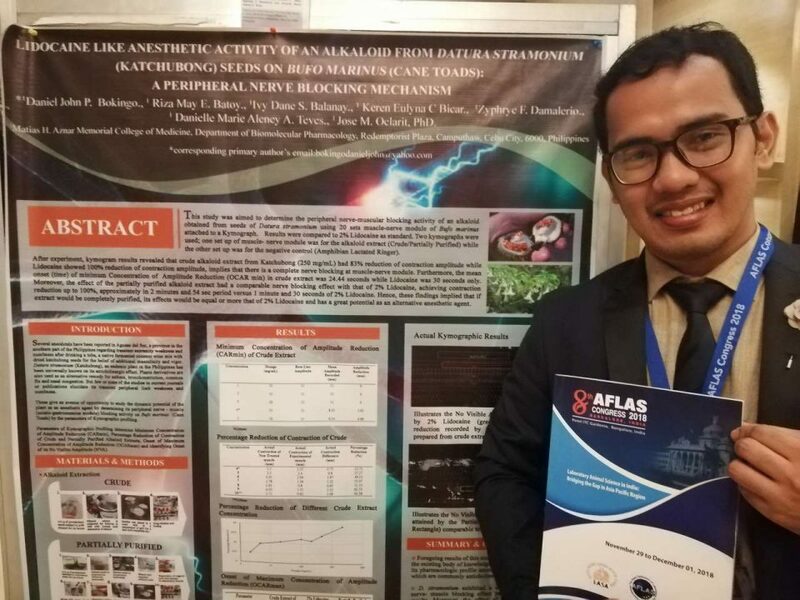 As the lone Philippine representative in the 8th Congress of Asian Federation of Laboratory Animal Science (AFLAS) Associations, Bokingo’s Poster Presentation on “Lidocaine like anaesthetic activity of an alkaloid from Datura stramonium (Katchubong) sseds on Bufo Marinus (CaneToad): A peripheral nerve blocking mechanism” was the only Philippine Poster Research which made it internationally and eventually became part of the fruitful scientific feast and meaningful deliberations during the 3-day gathering of cross-functional sharing of information among medical professionals. The MHAM Poster Research, which is now internationally-acknowledged in the newer pathways for successful formulations of drugs for human diseases and to save human lives, was aimed to determine the peripheral nerve-muscular blocking activity of an alkoloid obtained from seeds of ‘katchubong’ using twenty sets muscle-nerve module of bufo marinus attached to a kymograph. If the extract would be completely purified, the findings implied that its effects would be equal or more that of lidocaine 2% and have a great potential as an alternative anesthetic agent. 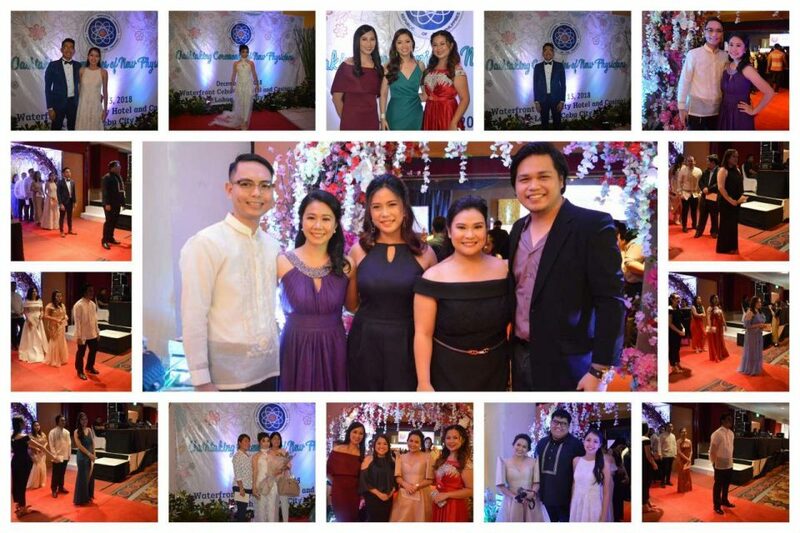 Meanwhile a premier event to celebrate and seize the night with the unique bond among future doctors, the annual MHAM Medicine Ball known as Astrea Filipina created color and fun last December 11, 2018 at the Grand Convention Hotel. 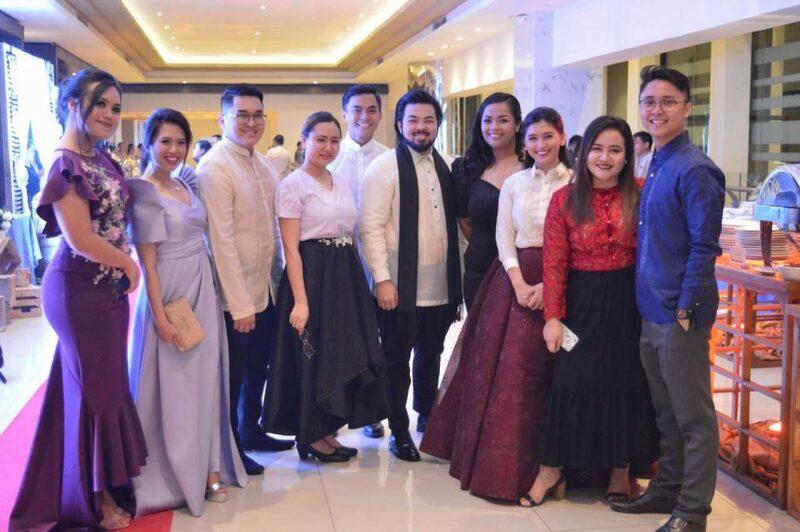 Coming together in their best and dazzling modern Filipino attire, the night event also showcased hidden to noted talents in acting, directing, script writing in the ‘MediSine’ and ‘MedWannabe’ contests with fun-filled raffle draws. 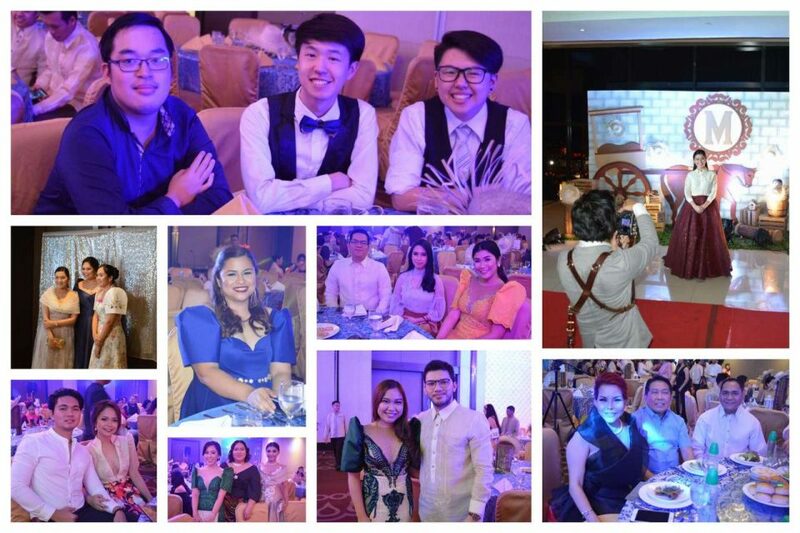 Richly-diverse in fashion and looks with a sense of grandeur, the Astrea Filipina 2018 was one of the highlights and year-ender activities spearheaded by the Student Council officers where some of the faculty and non-teaching employees were also present. Moreover, as the year 2018 came to its close, MHAM took pride of its eighty-eight (88) new physicians in the September/October Physician Licensure Examination where some of them took the Hippocratic Oath last December 13, 2018 at the Waterfront Cebu City Hotel & Casino. 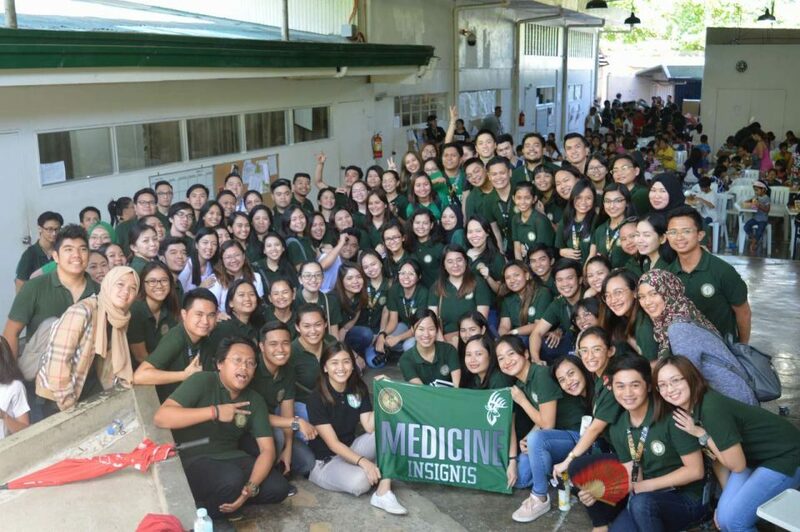 Attended by the successful examinees in the most recent PLE, the new MHAM mavens mostly from batch Elixir took the oath as new physicians in the country with the presence of all invited guests, deans, faculty members, parents, families and friends. Called to fulfill their duties to the country and fellow citizens by making themselves available to the needy especially those who could barely afford medical services and with steadfast willingness to serve the community wherever they may be in the mission field, the full-pledged Matias doctors were part of the 3,717 passers out of 4,542 examinees nationwide given by the Board of Medicine in Manila, Baguio, Cebu and Davao. Looking back, the examination was originally scheduled on September 8, 9, 15 and 16 but the last two days were rescheduled on October 27 and 28 as typhoon Ompong hit the country all along the scheduled dates. MHAM Associate Dean for Basic Sciences, Dr. Allan R. Librando represented the school in behalf of the current College Dean Dr. Ma. 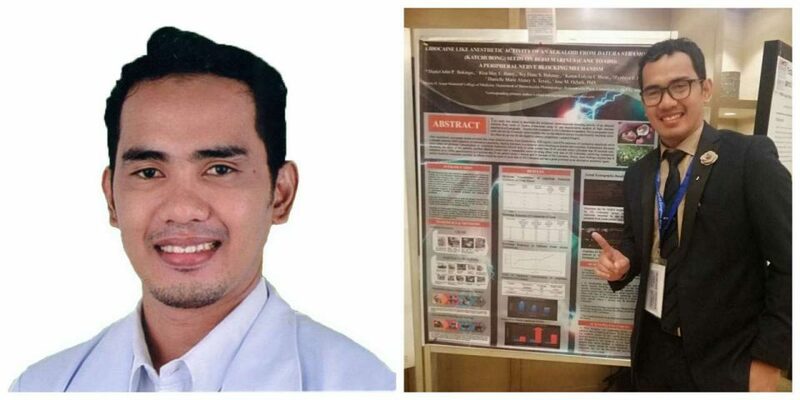 Socorro Manaloto whose better half and a MHAM doctor as well, passed away during the untimely season. 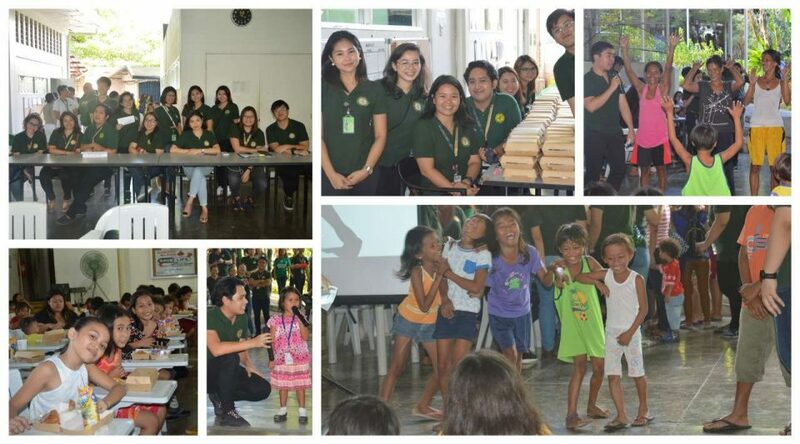 On the same day, another heartwarming MHAM-led event took place in the City of Naga as the Community Extension Services Office in coordination with the Student Council invaded the Enan Chiong Activity Center to celebrate with a number of children who were sheltered together with lactating infants, pregnant women, adult, elderly and PWD survivors. 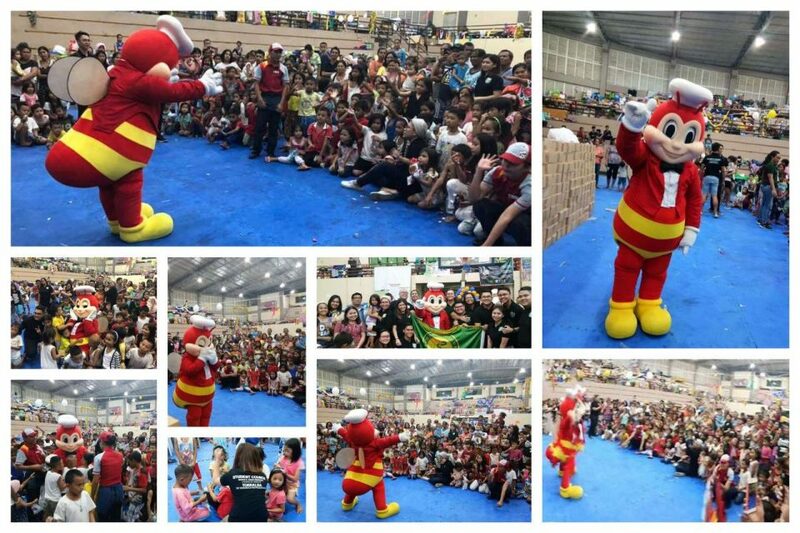 Dubbed as “Ayuda Sa Mga Bata Sa Naga” Project Part 3, the MHAM team also brought joy to the children by bringing the country’s most beloved bee, the Jollibee mascot, aside from jolly meals and goodies prepared for them. The same team also took to extend assistance to the immediate needs of survivors such as assorted medicines, clothing and non-food items such as blankets, plastic mats, insect repellant and hygiene kits in a collaborative relief operation dubbed as “Ayuda Para Paga” MHAM Relief Operation Campaign for Naga Landslide Victims last September 2018. 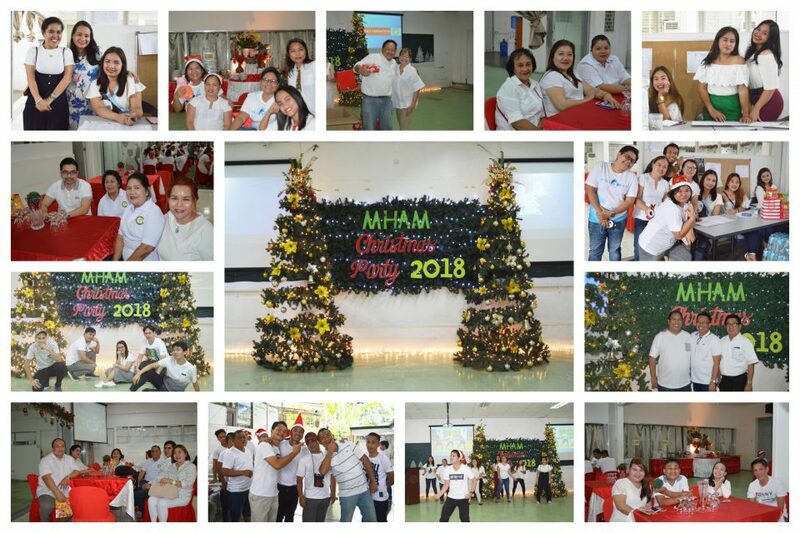 Unremittingly motivated to serve with the MHAM way, the MHAM employees celebrated their annual Christmas Party which was held at AVRs 3-5 last December 12, 2018. 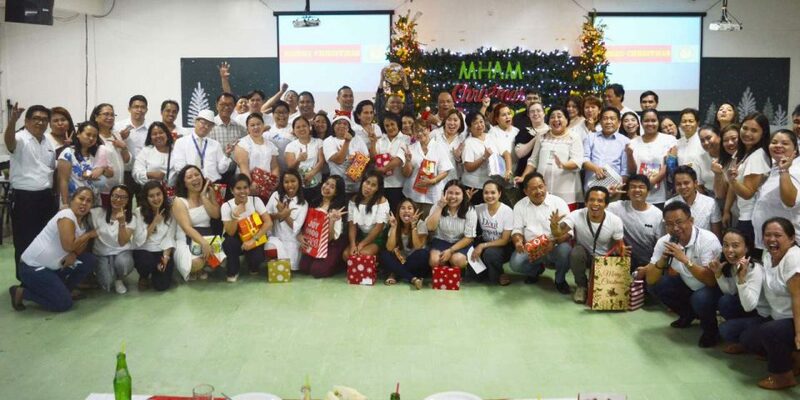 The simple gathering also marked a significant date in the MHAM archives as it was considered as the last Christmas celebration among faculty members, administrative personnel, non-teaching, campus safety and security officers and utility workers at the Redemptorist campus as the school is about to transfer in the early-to-mid part of 2019. This year’s white-themed Christmas celebration was also attended by the President and Chairman of the Board, Mrs. Elma Aznar Sierra together with Board of Trustees member, Ms. Angelica Sierra and her two children. In a season of love and gift giving, the class of 2022 known as INSIGNIS officially closed the year and ended with a big, blast bang in their inspiring Christmas celebration with the street and schoolchildren in the vicinity. 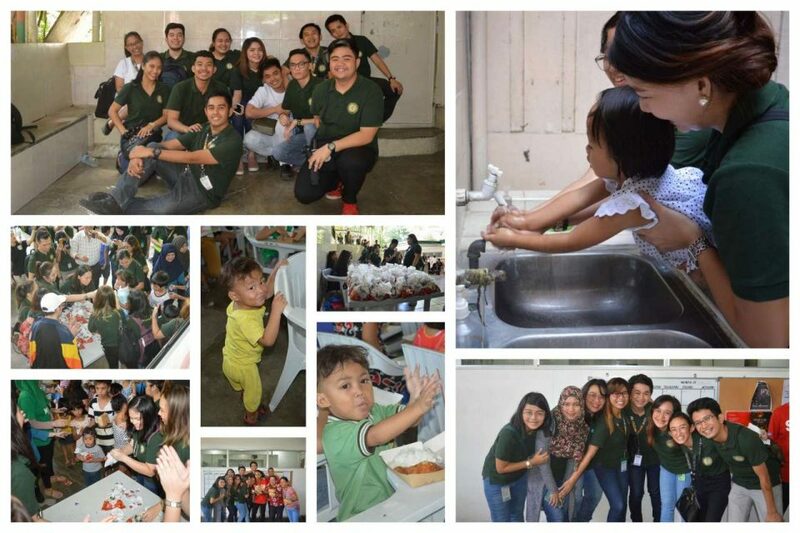 The half day event was also attended by the Associate Dean for Basic Sciences, Dr. Allan Librando who commended the team’s effort and time and created a joyful moment to the less fortunate children in the area. 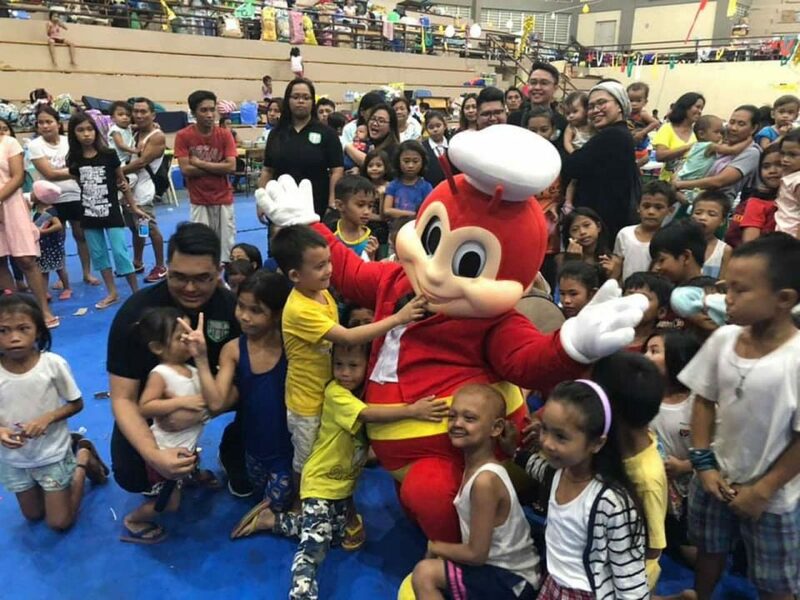 Coming together as one team, the future doctors shared their blessings to the neighboring children with a hearty meal and some goodies that delighted the young recipients. The feeding program was one of the milestones that the future doctors have initiated along their medical journey not just in addressing nutrition and food security problems among the young ones but a humble way in sharing the real meaning of love in a ‘seasoned’ season where compassion and generosity have kept the MHAM mission so meaningful to reminisce in the future. Give love from Batch Insignis: Our student leaders of today. Our Matias doctors of tomorrow. 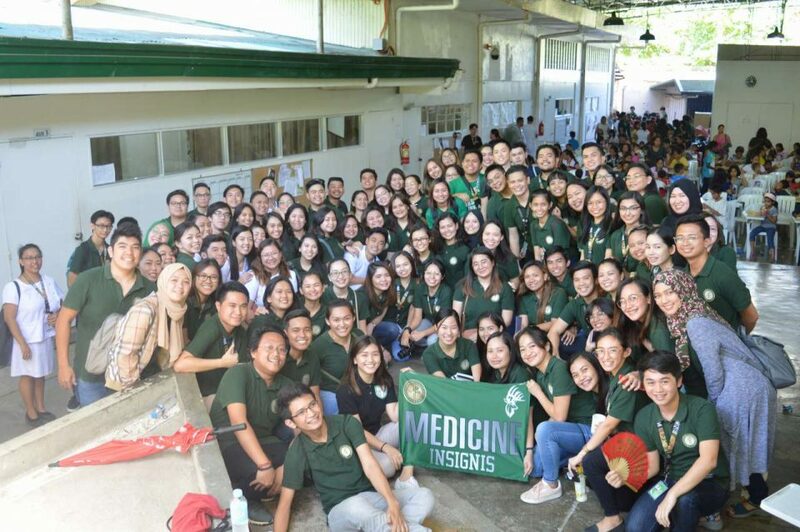 Kept as a hundred memories to a thousand thoughts in the threshold of a well-celebrated year, the year-ender events have made 2018 significantly treasured by the heart that runs in the blood of every Matias future doctor.